Size: 13.4 x 19.3 inches. 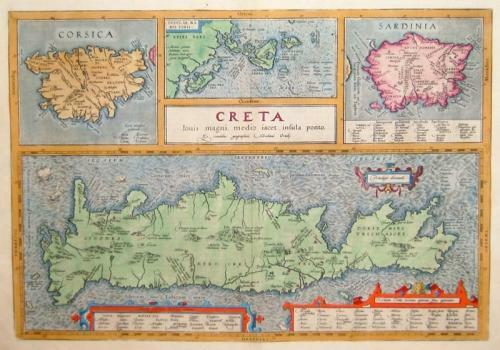 The three islands are shown with place names and important locales as they existed in the Classical Period. Ortelius mentions as his classical sources Strabo, Palenses, Athenaeus, Livius and Plinius. The condition is very good with a reinforced centerfold and strong paper. Minor foxing at the margins.